We're used to working on projects large and small, but we were particularly excited by our most recent installation for Fentimans. The brief was to create a Summer Jungle in Central London, set against the backdrop of neon art gallery 'Lights of Soho'. We were delighted to incorporate a bespoke neon light we designed for the event, surrounded by tropical foliage. We proudly displayed vintage artefacts, harking back to the explorers whose discoveries captivated the world when the Fentimans brand was created in 1905. 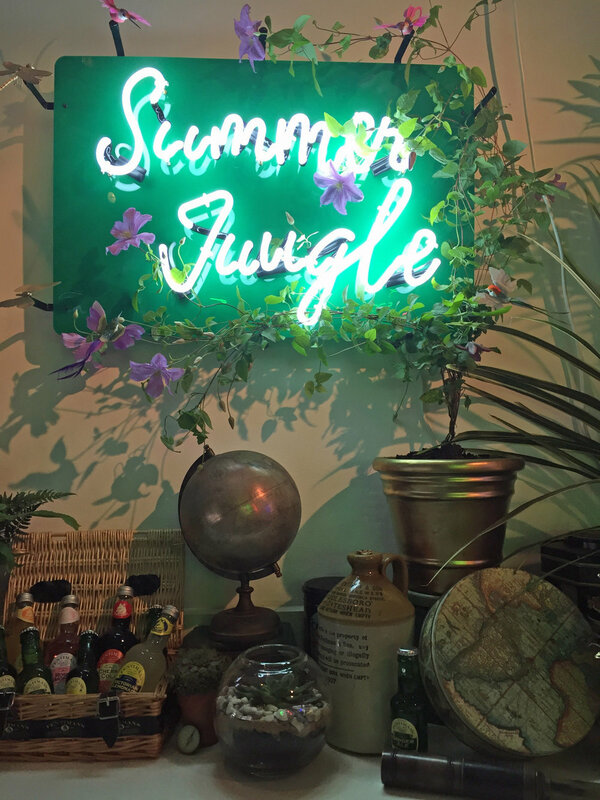 The Summer Jungle is open at 35 Brewer Street until 10 September, hosting a range of events, so do check it out. You could even indulge in some bespoke Fentimans cocktails, using this Time Out London offer! Find out more in 'How to Spend It' now or see more photos here.